All-in Luxury® promises discerning guests of CHIC anticipatory service, elegantly styled rooms and exceptional amenities, a luxury property built with incredible attention to detail, and a variety of world-class restaurants so the choice is yours. 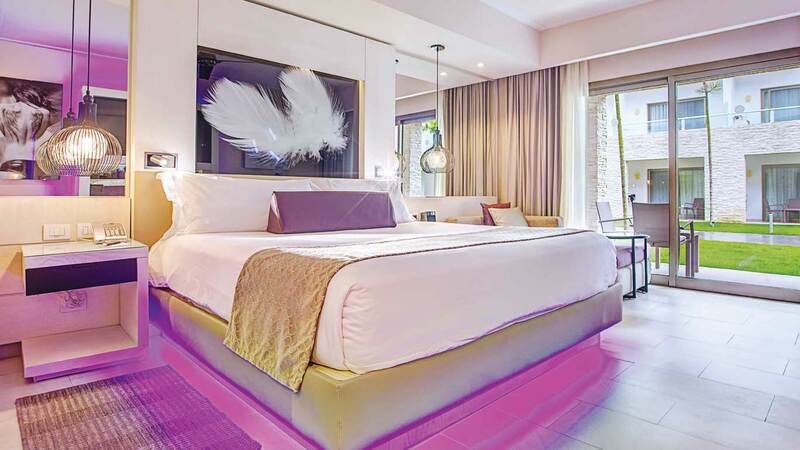 DreamBed: Catch up on rest atop the heavenly premium handcrafted DreamBed™ designed exclusively for Royalton Luxury Resorts. DreamBeds™ are carefully designed to offer exceptional comfort and support. All-In Connectivity: Keep the conveniences of home while on vacation and stay connected during your vacation. 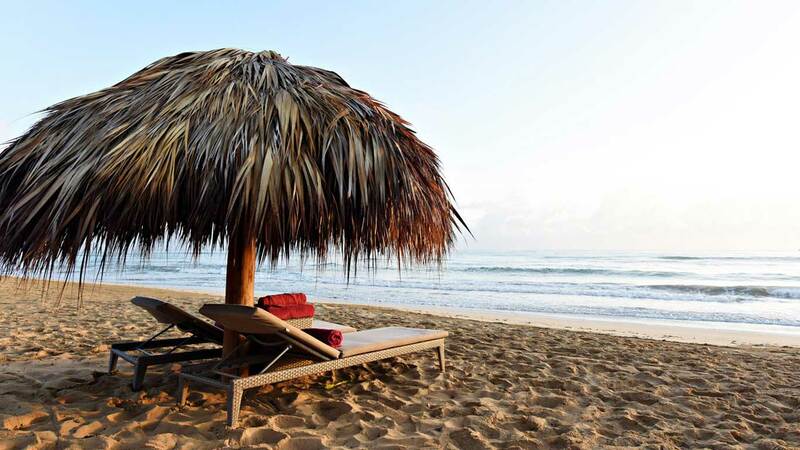 Never miss a single post on social media, and post a pics to create envy among friends back home in the visually stunning elegance of CHIC Punta Cana’s stylish ambience. Sports Event Guarantee: Don’t miss a single moment of the action while on holiday. Sports fans will love the Sports Event Guarantee™ that promises top games and important sporting events are broadcast at the resort. Cheering on the home team? Head over to Excite Sports Bar & Lounge for premium refreshments and traditional pub fare and of course, watch your favorite sport on any of the flat-screen TVs. Reservation-Free Dining: The choice is yours! Savor world-class dining at any of the à la carte restaurants at CHIC on any night of the week — as many times as you’d like. Enjoy traditional Italian fare at Vespa, authentic dining at Hunter Steakhouse or the treat of fresh seafood at Pescari. All-In Luxury™ never tasted so good. Life Fitness Gym Facilities : Stay fit and healthy while on vacation. CHIC features fitness facilities with the latest Life Fitness equipment so you have what you need – when you need. Enjoy unlimited use of weight training machines, cardio equipment or have fun in the energetic Zumba classes offered each week. Never been a gym person? Take advantage of the personal trainer, available to guests each day and return home on a refreshed path to wellness.